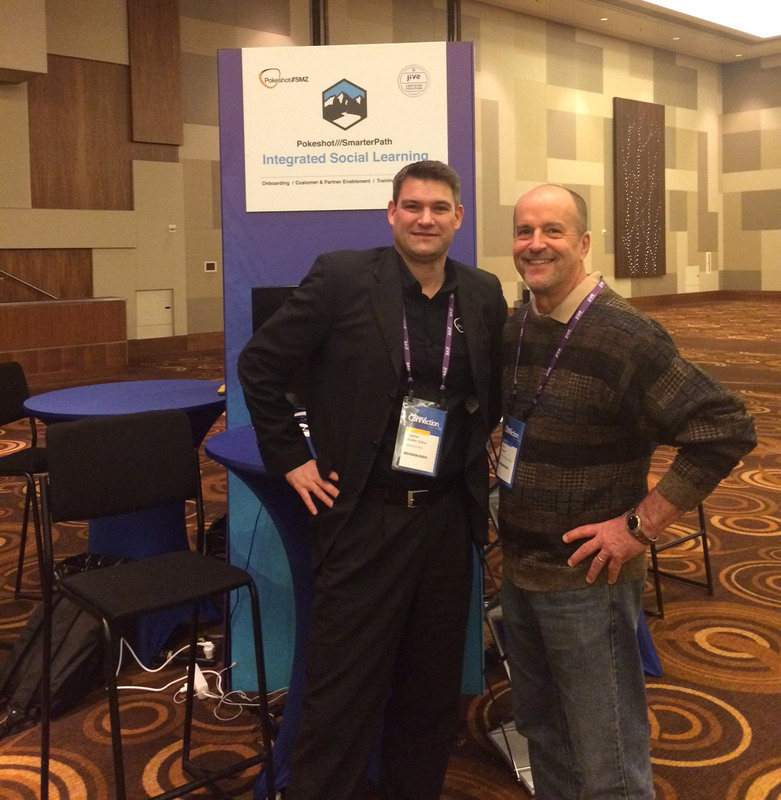 From March 14-16 Pokeshot was a sponsor of the JiveWorld 2016 in Las Vegas. Over these three days the world’s leading conference for modern communication and collaboration – held this year under the motto “The Power of Connection” – drew top thought leaders, customers, social business collaboration experts, and developers to Las Vegas to share knowledge and best practices. “JiveWorld 2016 was a huge success for Pokeshot. We announced Jive certification of our award-winning social learning solution SmarterPath, had a number of interesting conversations at our booth and received a bunch of positive feedback from Jivers and conference participants.“ said Stephan Müller-Ziebur, founder and managing director of Pokeshot. Learn more about Pokeshot and watch our short intro video.